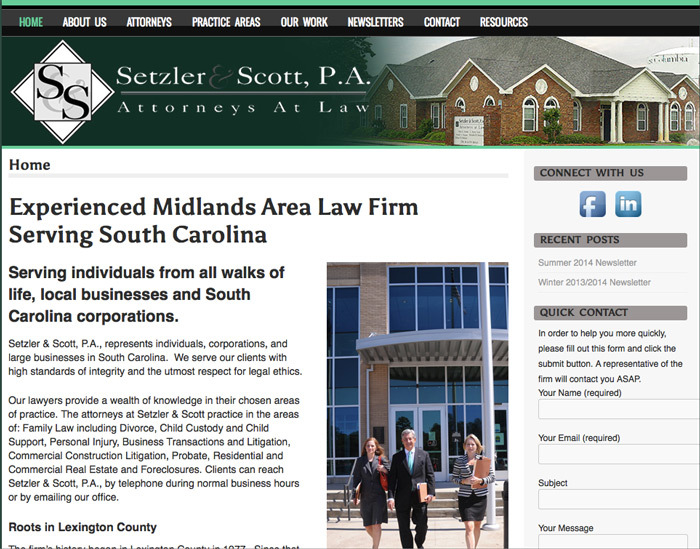 Description: Setzler & Scott, P.A. is located in the Columbia, SC area, and has been serving the community for nearly 40 years. The firm wanted to update their website, make it more attractive, and increase their SEO and social media connectivity.